HCM City (VNA) – By taking various measures, Ho Chi Minh City aims to save 1.5 – 2 percent of commercial electricity output each year as from 2019. The municipal People’s Committee said the city hopes to save at least 10 percent of the annual electricity cost at agencies and organisations while big power consuming businesses will save at least 1 percent of the electricity used for each product unit compared to last year. Among the planned measures, HCM City will replace normal decorative and lighting lights with energy-efficient ones, carry out energy-saving solutions at all new public lighting facilities, and pilot replacing compact light bulbs with LED lamps. It is also encouraging local households and service providers to save electricity by using energy-efficient devices, switching off unnecessary electrical devices, making use of natural light and ventilation, and reducing the use of electricity-intensive appliances during peak times. 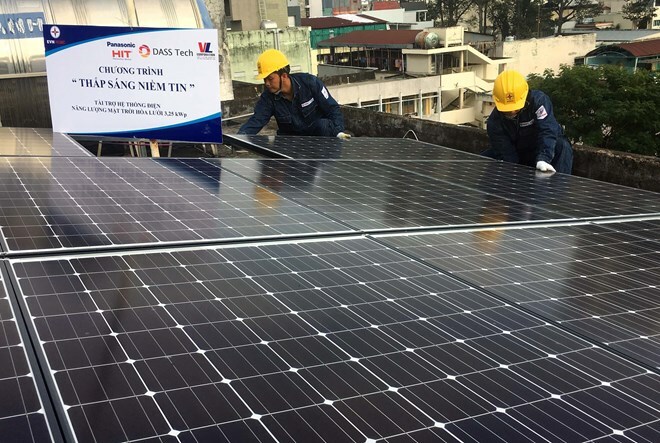 The HCM City Power Corporation, a subsidiary of the Vietnam Electricity (EVN) group, has also worked with organisations and local authorities to conduct communications activities at residential areas. The corporation said in 2018, more than 727,000 local households engaged in the power saving programme, saving nearly 400 million kWh of electricity worth some 800 billion VND (34.5 million USD) and cutting down the emission of 322,000 tonnes of CO2.